Forty-one-year-old Alice Isaacson had accomplished a lot by the time she joined the Canadian Army Medical Corps (CAMC) as part of the Canadian Expeditionary Force (CEF) in 1916. The Irish-born, American-trained nurse had eight years of nursing supervisor experience under her belt, as well as a year of service with the 23rd General Hospital of the British Expeditionary Force (BEF) in Étaples, France. A reference letter penned by a Medical Officer, likely in support of her transfer from the BEF to the CEF, described her as “skillful, energetic and reliable” and as an individual who was undaunted by large tasks. On one occasion she was responsible for looking after 120 seriously ill patients with little assistance. 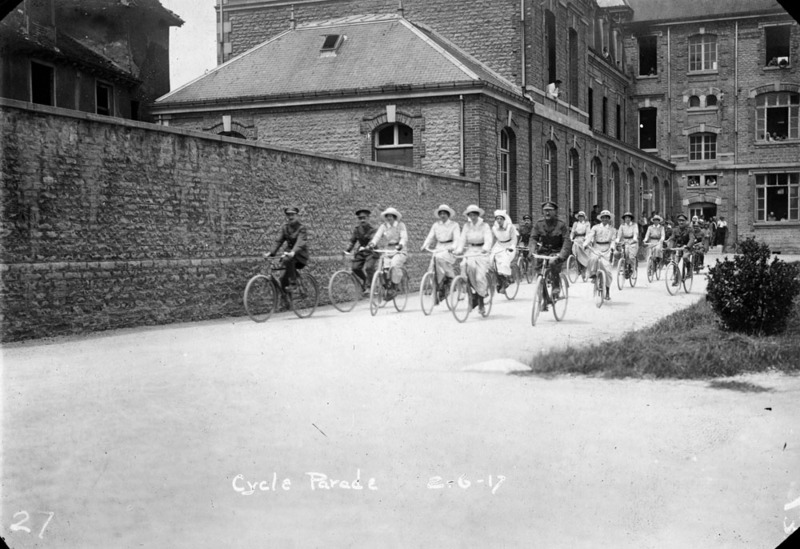 One of the few things she had not yet learned to do was ride a bicycle, but this, too, would be tackled with determination before her return home at the end of the war. Alice kept several diaries during her service overseas, which included postings in France at the No. 2 Canadian General Hospital at Le Tréport and the No. 6 Canadian General Hospital at Troyes. Her writings and an insightful photo album are now part of her fonds held at Library and Archives Canada (LAC). These records, as well as other private and government collections, such as the Department of National Defence fonds, are some of the examples of the valuable archival resources at LAC that document the history of women’s service in Canada’s military. Only a few nurses were part of the Canadian Army Medical Corps at the start of the First World War in 1914, but numbers soon increased as civilian nurses were eager to transfer their skills into the military context. In total, more than 3,000 nurses served in the CAMC, including 2,504 overseas in England, France, and at Gallipoli, Alexandria and Salonika in the Eastern Mediterranean. Nursing was the only means by which women were permitted to serve in the Canadian military during the First World War. To enlist, nurses had to be single, British subjects (which included Canadians at the time), in good health, between the ages of 21 and 38, and have qualifications from a recognized nursing school. If accepted, recruits were commissioned as officers with the rank of lieutenant, which is notable as Canada was the only country in the world to rate nurses as officers at the time. Canadian nurses were addressed with the traditional title of “Nursing Sister”, and enjoyed a number of benefits in their positions, including good wages and leave. The head nursing sister, known as the Matron-in-Chief, was in charge of all the nurses in the service. Margaret Macdonald of the CAMC was given this title, and was the first woman to hold the rank of major in the whole of the British Empire. 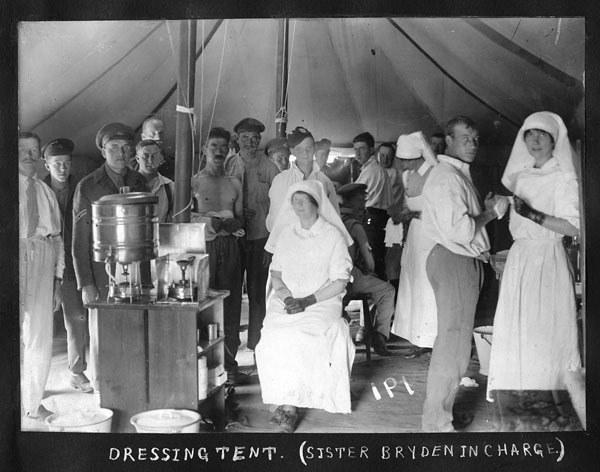 Military nurses faced a multitude of new experiences that contrasted to their work in the civilian context, whether it was sleeping in a tent, shifting to a new posting at short notice, or making do with limited supplies. Improvising and adapting to changing circumstances was necessary, as nurses might face quiet wards with a few patients one day, and masses of incoming and outgoing patients the next. These women saw first-hand the bodily harm caused by the era’s modern warfare, including shrapnel and poison gas, and witnessed a loss of life that few could have predicted when they first enlisted. Nurses made significant contributions to the war effort in their care of ill and injured soldiers, a duty that extended after the armistice on November 11, 1918. The “Spanish flu” influenza pandemic that began at the end of the war and spread through military camps placed further demands on nurses. Close to 1,500 nursing sisters were still serving with the CAMC by mid-1919. Lillias Morden, a nurse from Hamilton, Ontario, was one of them. She joined the CAMC in 1916, served in England and France, and assisted with demobilization efforts at the end of the war. Morden did not leave her military position until November 1920. While nurses such as Alice Isaacson and Lillias Morden made it home after the First World War ended, some nursing sisters were not as fortunate. Part II of this blog post will explore how the conditions under which nursing sisters served could be dangerous, with some paying the ultimate price. Examples of sources about nursing sisters that are in LAC’s collection and in other institutions can be found on LAC’s Nursing Sisters blog post (published July 23, 2015) and web page, The Call to Duty: Canada’s Nursing Sisters. Also check out one of LAC’s recent private acquisitions: Luella Blanche Lee fonds. 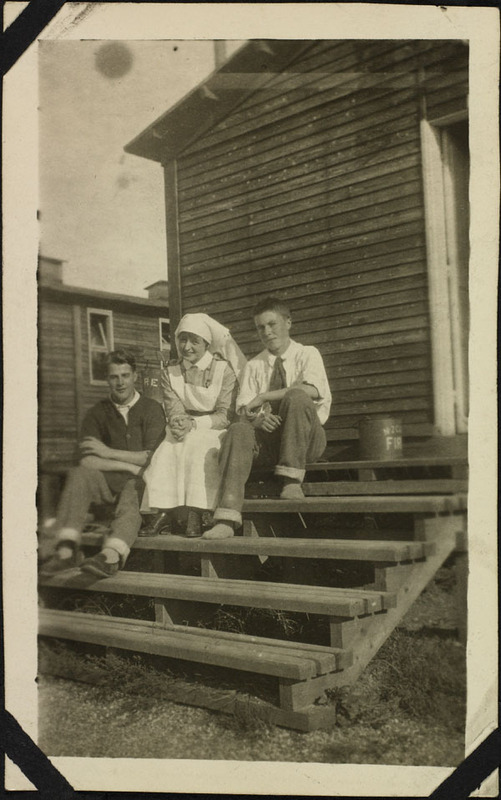 Nursing Sister Lee served in hospitals in France and the United Kingdom during the First World War. “O” prefix, and “M” prefix are sub-sub-series under the Canadian War Records Office photographic Collection, which documents the activities of the CEF during the First World War. 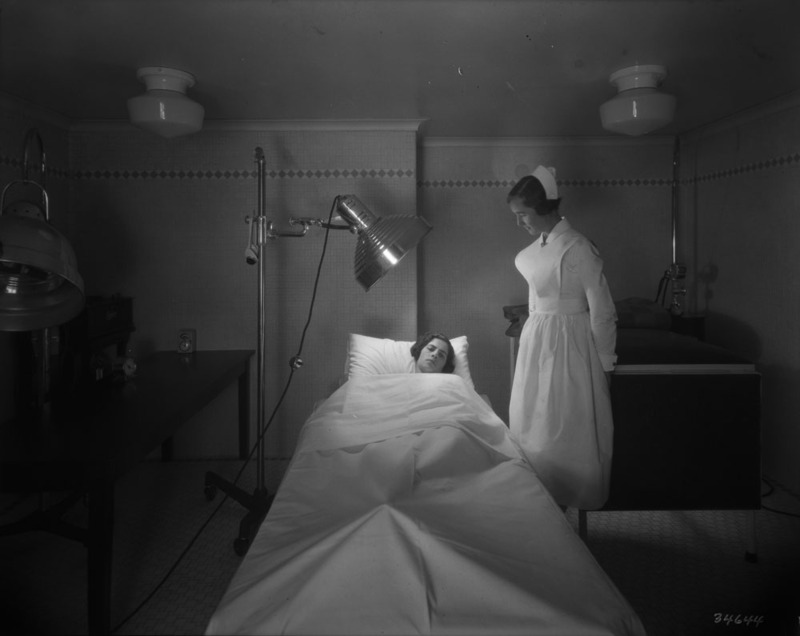 This rich photographic collection contains a variety of images related to nursing sisters, including accommodations, leisure activities, portraits, and funerals. Geneviève Allard’s “Caregiving on the Front: The Experience of Canadian Military Nurses During World War I” in On All Frontiers: Four Centuries of Canadian Nursing. Christina Bates, Dianne Dodd and Nicole Rousseau (eds.). Ottawa: University of Ottawa Press, 2005, p. 153–167 (Chapter 10). Cynthia Toman, Sister Soldiers of the Great War: The Nurses of the Canadian Army Medical Corps. Vancouver: UBC Press, 2016. In April 2018, Library and Archives Canada launched Co-Lab, a new collaboration tool, for the public to contribute by transcribing, tagging and interacting with historical records. Now we are adding a new challenge: showcasing the personal files of some of Canada’s nursing sisters who served in the First World War. You can get started right away! Quick! Think of five inventions that have revolutionized the way we live. Now try to think of five Canadian medical inventions. Not so easy, is it? Why is it that most of us are able to think of five inventions that have helped to shape the world we live in, such as the wheel, but struggle to name even two Canadian medical inventions? Though we might have the impression that countries such as the United States or England have the upper hand when it comes to the total number of medical inventions, we must not forget that Canada has long been a leader in the advancement of healthcare across the world. Some Canadian inventions include the discovery of insulin by Sir Frederick Banting; the invention of Pablum, an enriched infant cereal; and cobalt therapy. There is one Canadian medical invention, however, that outshines all others. It has the power to make your heart beat steadily when you exercise and even when you are in love. That invention is the artificial pacemaker. Canadian electrical engineer John Alexander Hopps is credited with the invention of the artificial pacemaker (also known as the stimulator-defibrillator), and it is through Hopps’s work with Dr. Wilfred Bigelow and Dr. John Callaghan that the device first began to save lives. John Alexander Hopps was born in Winnipeg on May 21, 1919. He graduated in 1941 from the University of Manitoba, where he had studied electrical engineering. 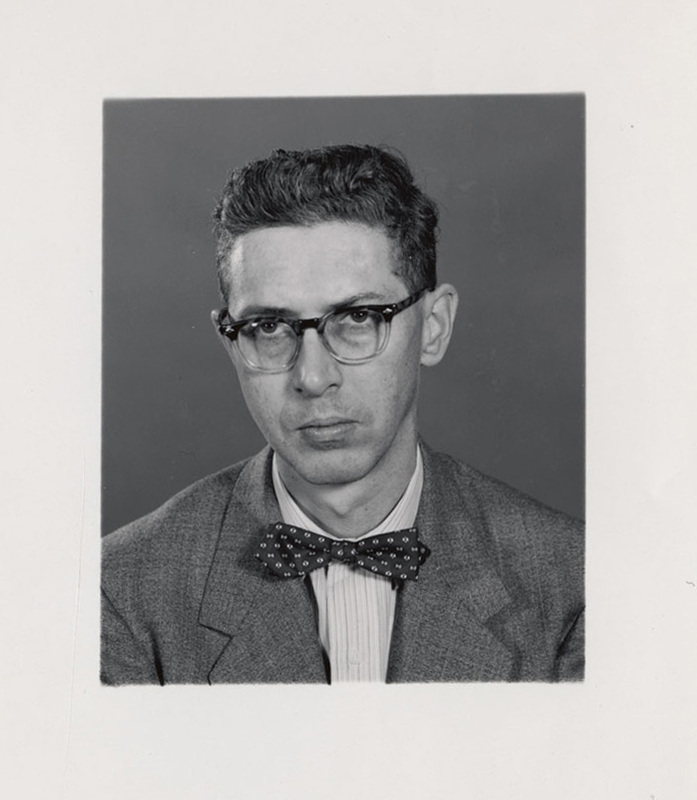 He then worked at the National Research Council (NRC) in Ottawa on wartime radar development. In 1949 he was assigned to work in Toronto with Dr. Bigelow, who had recently discovered that there was a reduced risk of complications if, before an open-heart surgery, the patient was kept in a state of hypothermia. His work with Dr. Bigelow and Dr. Callaghan led to the development of the cardiac pacemaker in the 1950’s—a device that, though he did not know it at the time, would help prolong his own life. From 1957 until 1958 Hopps worked in Sri Lanka, helping to establish the first colonial engineering unit in Southeast Asia. Fifteen years later, in 1973, he became the head of the NRC’s new Medical Engineering Section. He continued to work on new medical innovations and became a leading voice for the importance of hospital safety standards. He was especially concerned with the protective measures taken by hospitals to reduce the risk of operating room electric shock hazards. Hopps’s unique knowledge of technology and medicine brought him into contact with all kinds of challenges relating to technology and human health. He even wrote a research paper detailing his findings on the potential health hazards of a microwave oven used by the staff at the Riverside Hospital, concluding that there were no significant harmful effects associated with its use. Hopps also became the first president of the Canadian Medical and Biological Engineering Society, and in this role continued to promote the use of engineering in the medical world. The pacemaker that we know today looks very different from its predecessor. 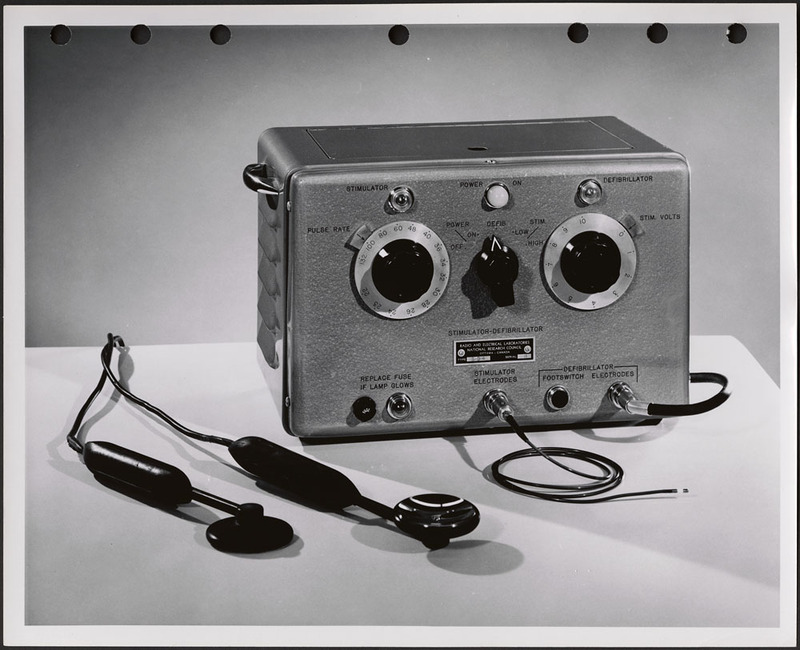 The world’s first pacemaker was about the size of a microwave oven and had to be placed outside the body. Over the years, countless doctors and inventors helped to shrink the size of the pacemaker so that it was eventually small enough to be placed inside the human body during a less invasive surgery. The pacemaker became quickly invaluable to doctors and was included in mobile cardiac units. In 1986, Hopps became an Officer of the Order of Canada. 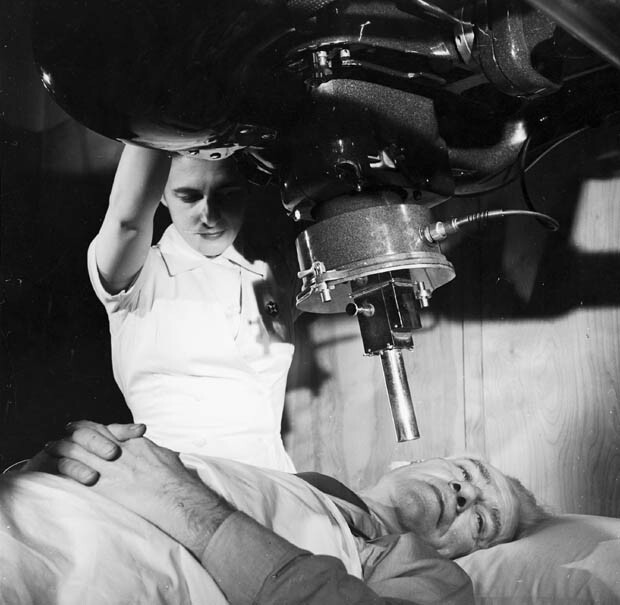 He died in 1998, after having permanently altered how medicine and technology interact with one another. 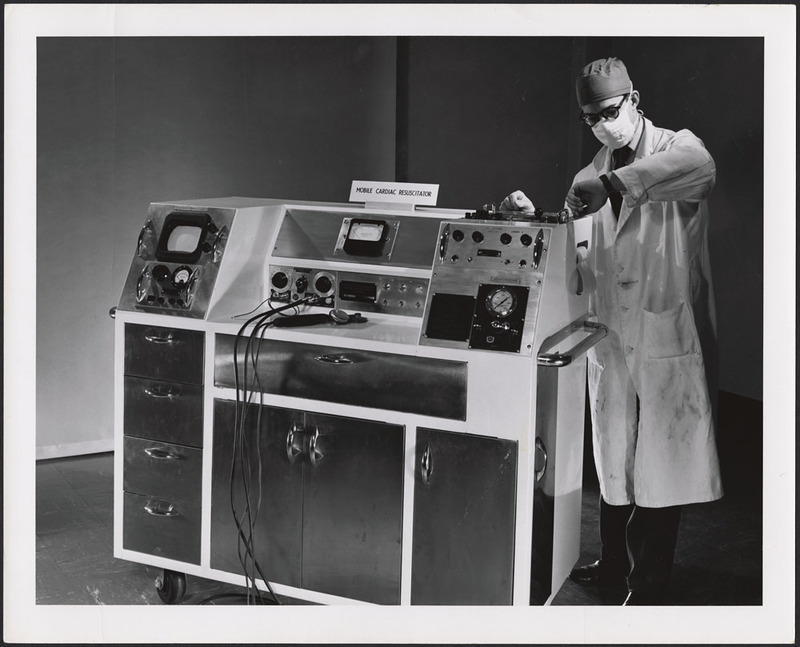 If you would like to read more about John Alexander Hopps and the pacemaker, you can explore his fonds, which is housed at Library and Archives Canada. 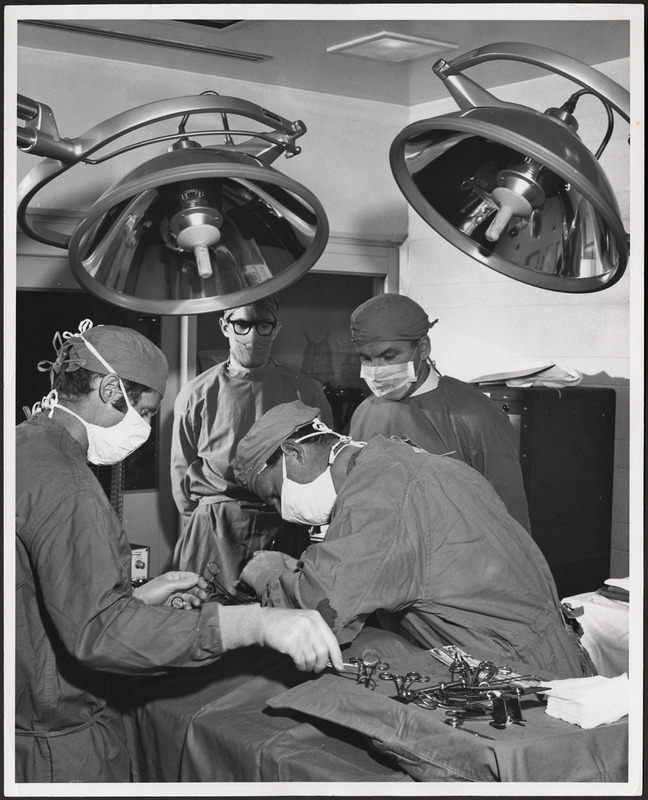 Hopps’s fonds includes a wide range of materials, from textual documents relating to his work to pictures that help shed light on the evolution of the pacemaker to images of cardiac operations. Rebecca Meunier is a student orientation technician at Library and Archives Canada. Many medical treatments in Canada today use drugs or surgery to treat symptoms, or the signs of illness. However, Canada has a history of therapies and treatments that are less invasive. Some of these practices are still conducted, while others seem odd or outdated. Treatment using radiation, or physical and psychological therapies still enjoy a level of popular use by medical practitioners, therapists, and patients to address a wide range of ailments – while the use of electric shocks, or ultraviolet lighting is outdated. In the early 19th century, the arrival of ships carrying sometimes-ill immigrants raised fears that epidemics would spread in Lower Canada. The colony’s elite became aware of the situation and took initiatives to address the problem. The correspondence of the Civil Secretary to the Governor of Lower Canada (RG4-A1, MIKAN 105377) includes documents that reflect these concerns and that describe incidents faced by physicians at the time. 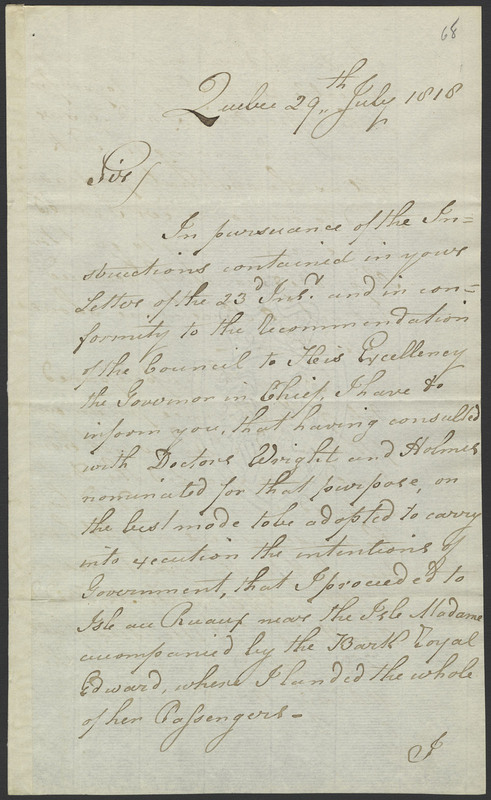 One particular example is a letter from Dr. William Hacket, dated July 29, 1818, in which he describes his efforts to care for Irish settlers suffering from typhoid fever. The immigrants had arrived at the city of Québec on July 21 aboard the Royal Edward. A number of them were sick and, after a few days, it was decided to treat them. Since no hospital could accommodate such a large number of patients (119), and because conditions on board the vessel were unsanitary, the order was given to quarantine and treat the patients on Île au Ruau [or Île aux Ruaux], near Grosse Île in the St. Lawrence River. Dr. Hacket was put in charge, assisted by two colleagues, Dr. Wright and Dr. Holmes. In his letter, written six days after the arrival of the passengers on the island, Dr. Hacket first describes his difficulties in convincing them to leave the ship—some declared that they would only be removed by force. He then goes on to say that without the help of soldiers, who set up a camp, he would never have been able to accommodate and treat the patients.